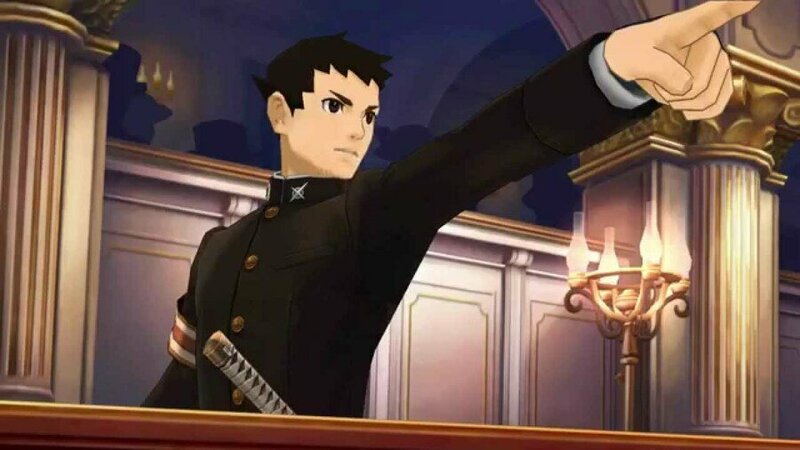 The Great Ace Attorney (known as Dai Gyakuten Saiban: Naruhodō Ryūnosuke no Bōken in Japan) launched on Nintendo 3DS in that region alone back in 2015. It went on to release on Android and iOS in Japan, too, but despite a significant amount of fan demand, the game has never made it over to the west. Capcom's official stance on the matter has always been that there won't be a western release for the game, although Capcom UK did once get fans' hopes up in a teasing tweet. Now, though, fans have taken it upon themselves to launch a version that is fully playable in English. The release comes via the folks at Scarlet Study, who have been slowly launching the game in episodes. At this stage, all episodes are complete and those that were released earlier have been tweaked further, too. You can see the project's progress and how everything looks in this video below. More is on the way - the team are planning a release for Android and are still working on adding the game's 3DS manual - but those interested can give it a whirl now. You can find out more via the Scarlet Study website (note that, if it wasn't already obvious, this isn't an official release approved by Nintendo or Capcom). Have you always wanted to try this one out? Do you wish the game had been officially launched in the west? Tell us below. Definitely curious to try this one out, though I've heard that the sequel is more or less required playing to get enjoyment out of the first game. That’s cool, I’ve been waiting on this one a while. Played the first two cases last night, the animation is top notch by far the best of the series. The translation is great as well, there's parts where the chat log doesn't work for a few sentences, and I kind of wish they'd have shortened the Japanese names like capcom would have almost certainly done in a western release but other than that its a very good translation so far. As for the game the first episide is pretty standard stuff, it's the second one where you get to see something a bit different and it throws a few curveballs at you along the way. I like that so far it doesn't have any of the increasingly complicated mechanics they started throwing into the likes of 'spirit of justice' its much more of an old school Phoenix Wright but with its own new ideas of storytelling. Haven't touched the 3DS since the Switch came out but I'll have to find time now. I legit thought this was a cruel joke. I'm assuming this isn't legal??? They did the same thing with Mother 3. Mother 3 in English has made its way onto Ebay and Amazon. I'm playing through the first case at the moment. The team's work on this game has been excellent. Thanks fans! Was this done by the same group that did the fantastic translation of AA Edgeworth 2? @Zorox88 This is more in the vein of ROM patching. Piracy implies illegally obtaining a copy of the game. This run code on top of the existing game to change some assets. You need to hack your system to allow it to patch the translation over the game, but that doesn't necessarily mean the game needs to be pirated. I tried out the first few cases a couple of months ago; didn't realize they finished it. Note: The only way to play the English translation is with a legitimate copy of the game.